Successfully Added ELF MOREFINE Bluetooth FM Transmitter - USB Charging, Hands-Free Calling, SD Card Slot, LED Display to your Shopping Cart. This car gadget also features an SD card slot. This means that you’ll be able to slide in all your favorite songs stored on your SD card and enjoy them in great audio quality through your car stereo. On its LED display, this Bluetooth FM Transmitter keeps you constantly up to date about your current voltage and battery of your car. Thanks to its universal design, this car gadget can be used with the vast majority of Bluetooth enabled devices out there. 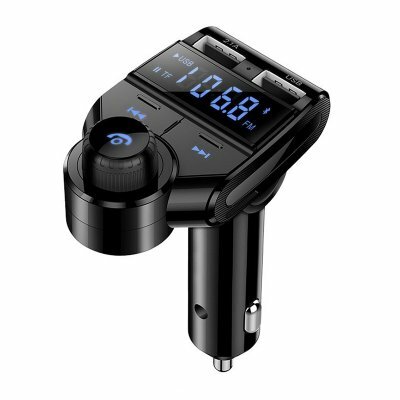 This Bluetooth FM Transmitter comes with a 12 months warranty, brought to you by the leader in electronic devices as well as wholesale electronic gadgets..